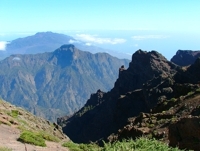 One of the best ways to explore the island of La Palma (Canary Islands), maximizing your time and energy, is with our private taxi tours. 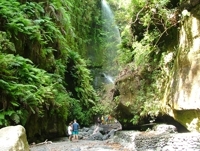 We offer a range of tours from four to seven hours, where you can appreciate the nature wonders, explore the cultural and historical areas and enjoy the gastronomy and the wines of La Palma. All this at your own pace and at an affordable price. See our Tours or fill out the Tour Booking Form (no obligation) to request information. Highest point of the island. With this tour you will enjoy the views of the National Park Caldera de Taburiente and visit one of the most important astronomical observatories in the world. 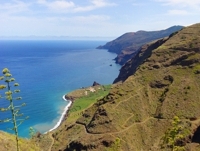 This tour is ideal for exploring the unspoilt rural and forest areas of the north coast, with many deep ravines and mountain slopes reaching from the steep sea cliffs to the top of the island. When you visit Los Tilos, one of the best surviving laurel forests in the planet, you feel like you travel back in time to discover how was the world 20 million years ago. Chestnut trees and endemic Macronesia heaths (also known as fayal-brezal), pine woods, amazing views of La Caldera, vineyards, volcanoes, black sand beaches… This is definitely our most complete itinerary. 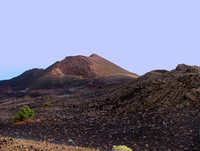 Discover the volcanic landscapes of the Teneguía volcano (1971) and the vineyards where the famous Malvasia wine is made. With this tour you can also visit the wonderful salt pans of Fuencaliente and Fuente Santa. If you are staying in Princess Hotel, this tour of contrasts is perfect for you. You will visit volcanic landscapes, coastal areas, pine forests and magnificent viewpoints of the National Park and Cumbre Nueva. 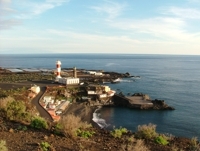 The starting point of our tours are usually in La Palma & Teneguia Princess Hotel (or any other place from Fuencaliente). Please fill out tour booking form for more information.